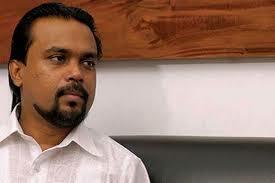 Colombo High Court Judge Vikum Kaluarachchi yesterday ordered the head of the Welikada Prison to allow MP and National Freedom Front (NFF) Leader Wimal Weerawansa to attend Parliamentary Committee meetings. Weerawansa is currently in remand custody for allegedly misusing 40 State owned vehicles during the previous regime. The judge made this decision after considering a revised bail application filed by Weerawansa's attorneys. The attorneys representing Weerawansa told the judge that while their client is allowed to attend parliamentary sessions, he is not permitted to attend parliamentary committee meetings. Considering the reasoning, the Judge ordered the head of the Welikada Prison to allow Weerawansa to attend parliamentary committee meetings. The judge also said he will consider Weerawansa's bail application on 8 March. Weerawansa was arrested on 10 January.